Head over to your local bookstore and pick up a copy, order from online retailers such as Powell’s, IndieBound, Barnes & Noble, and Amazon, or buy direct from W. W. Norton. 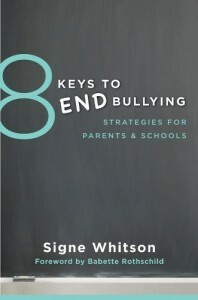 “Signe Whitson’s expertise, compassion, and practical advice for addressing and preventing bullying come shining through in 8 Keys to End Bullying. 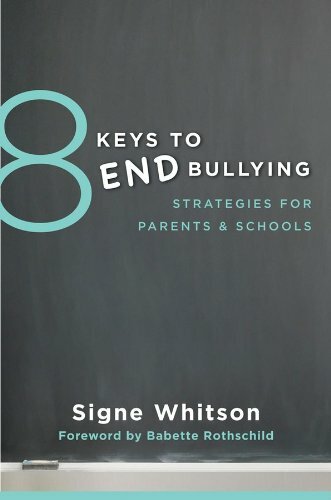 This book offers great tips, strategies, and resources for parents, educators, and counseling professionals who want to make a positive difference in children’s lives. I highly recommend it!” — Trudy Ludwig, children’s advocate and bestselling author of Confessions of a Former Bully and The Invisible Boy.